One possibility is that the city may purchase the historic land from UMass Boston. WALTHAM, MA — The fate of Waltham’s last farm is still in the balance, but the director of Waltham Fields Farm is cautiously optimistic that a potential deal in the works between the city and UMass might just be the answer that saves the farm. Still, she’s asking that supporters not step too far away. 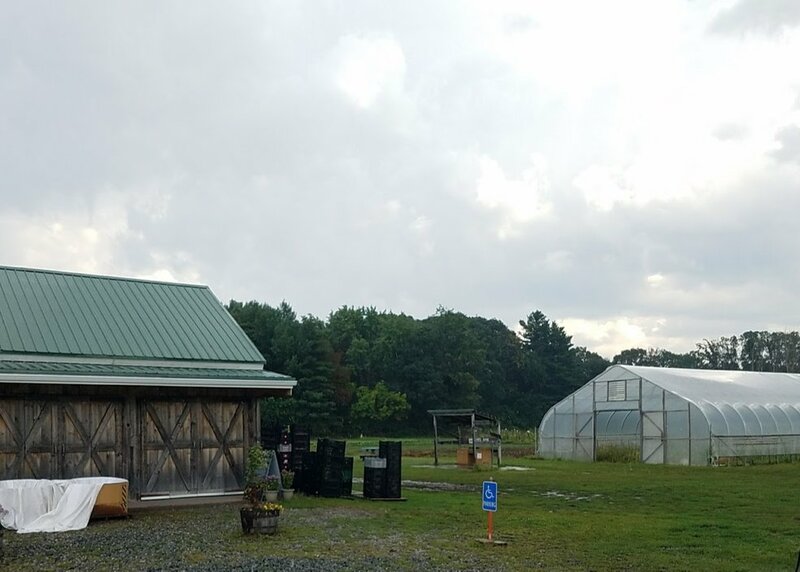 Since June, when University of Massachusetts, the farm’s landlord, announced its intention to close the farm’s administrative office space at the end of the year, there’s been a sense of uncertainty about the future of the farm. Waltham Fields Community Farm is one of the last working farms in the greater Boston area and one that has at within its mission to help others. Farm employees and volunteers have advocated for anyone who loves the farm to share their concern with Waltham’s City Council, the mayor as well as State Rep. John Lawn and Sen. Mike Barrett. And they have. In droves. People showed up to a city council meeting earlier this year with signs and in solidarity with the farm. UMass offered two options to the farm: move its field station main office to rent space on the (newly acquired) Mount Ida campus in Newton by the end of 2019 or close up shop, said Waltham City Councilor George Darcy. Neither of those options were exactly ideal. Then, the Waltham Land Trust said on its website it learned that closed-door discussions “may be ongoing” regarding turning over the site to the City of Waltham, which may actually be on an old deed for the property. That’s what gives the director of the community farms hope. “We feel optimistic at this time about a sale of the land to the City of Waltham. We are being respectful of this process, while also collecting resources should a larger support campaign prove necessary. If we receive any indication that a transaction with this city is in immediate jeopardy, or does not preserve the existing farm land or our protect our organization’s tenancy, then we will absolutely share with our members and sound a louder call of action for support!” said Stacey Daley director of Waltham Field Community Farms in an email to Patch. But it’s unclear if the deed that would allow Waltham to acquire the property if UMass were willing to give it up to the State is still legitimate all these years later, on account of stipulations on it. So, in light of all the uncertainty Daley is not turning away anyone who wants to reach out to the farm and to local government to continue to share support for the farm. “We hope residents of Waltham will offer their own voices, and explain how this land and our organization have impacted and nourished their lives and families,” said Daley. City councilors told Patch they had not been apprised of any updates from the mayor’s office since there was an executive session on the farm earlier this year. It’s unclear just why UMass might be willing to give up the property, though Waltham resident Alex Green, who wrote an opinion piece in support of the possibility of the city acquiring the land, opines that it might come after push back from purchasing Mount Ida College. City Council President Diane LeBlanc and Councilor Robert Logan told Patch they’d be supportive of a possible deal that would save the farm. Logan said residents and folks who farm plots have expressed concern to him that it stays a working farm. Daley said the farm is looking forward to a vibrant farming in 2019 full of educational programming, outreach and distribution of sustainably grown food to the residents of Waltham and neighboring communities in need of greater access to fresh healthy foods. The property has a long history. The university acquired the property by way of Cornelia Warren’s will at her passing in 1922. The site was her family’s dairy, hay, and vegetable operation. When Warren died, the farm was divided into several parcels by the trustees of her estate. Since then, the UMass Field Station has been a mecca for gardeners, farmers, breeders and all realms of horticultural research. The property where the Girl Scouts have their camp much of Bentley property and Veteran’s fields were all once owned by Warren. “If this historic land is developed, Waltham will lose an incredible and irreplaceable part of its history and green space,” according to the land trust. UMass Amherst did not immediately return request for comment. But Darcy said he’d much rather see the city acquire the public property. Interested in more information about the Waltham Field Station? Read the Waltham Land Trusts statement about Waltham Field Station and Lawrence Meadow. Read an article from March 2018 – Save the Waltham Field Station.